"The five texts translated into English in this book are considered the first transmission of Dzogchen to Tibet. 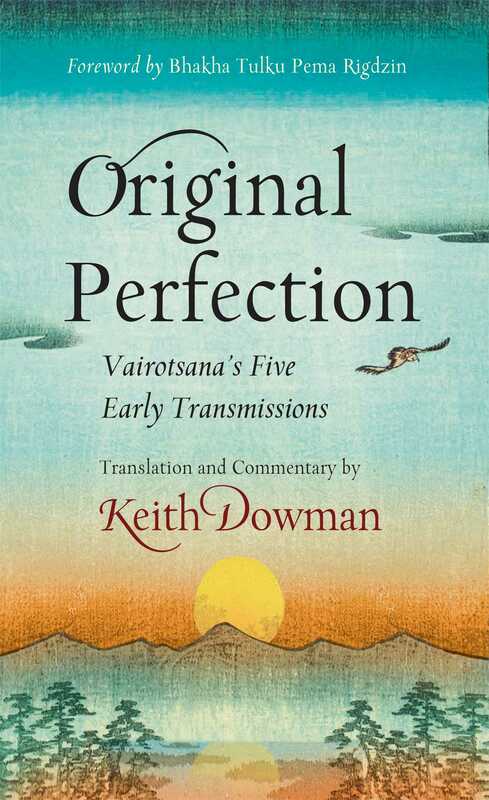 They were transmitted by a Tibetan monk called Vairotsana who distinguished himself not only in the field of translation, emerging as the greatest of the Tibetan lotsawas, but also as a traveler and pilgrim who left the Land of the Snows for the hills of the Hindu Kush to bring back a canon of Dzogchen texts from its closely guarded source. They constitute the root and essence of Dzogchen in Tibet." "Precise and poetic, authentic and elusive, these sweet translations bring the warm breath of the Dzogchen tradition into our daily lives. A major contribution to the exciting spread of Dzogchen in modern times."